Gorgeous 4 BR/2 BA Garage, Large Yard, New roof, new vinyl windows.Porch, Office,HW floors,Leaded glass window.,formal diining, MOVE right in! 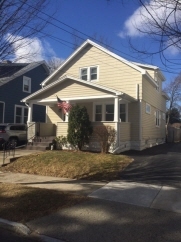 Interior Features Gorgeous 4 BR/2 BA Garage, Large Yard, New roof, new vinyl windows.Porch, Office,HW floors,Leaded glass window.,formal diining, MOVE right in! !